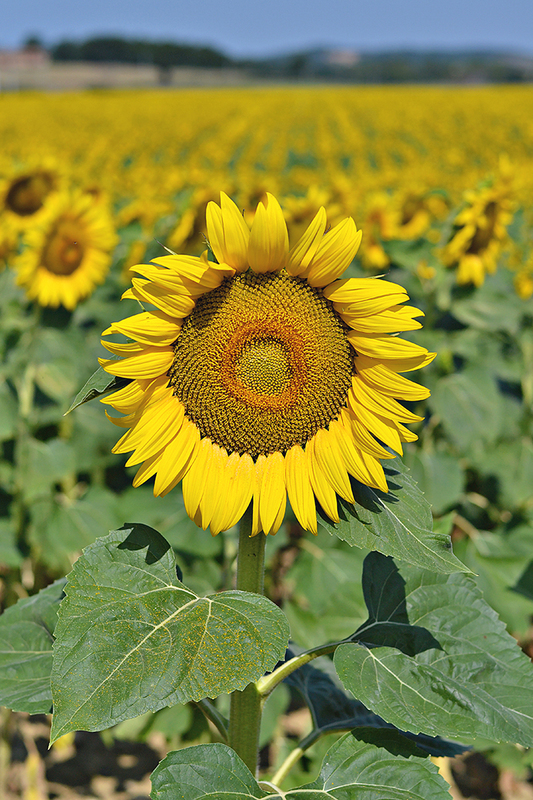 Sunflower season in Tuscany is magic! 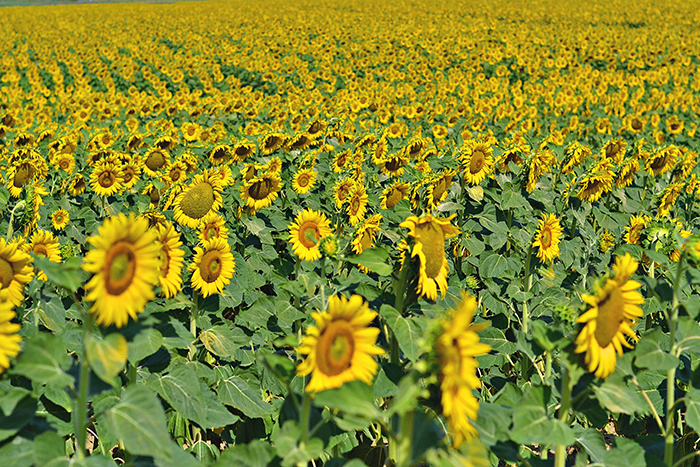 From mid-July until mid-August, the countryside turns into a sea of bright and huge "girosoli" that extend as far as the eye can see. 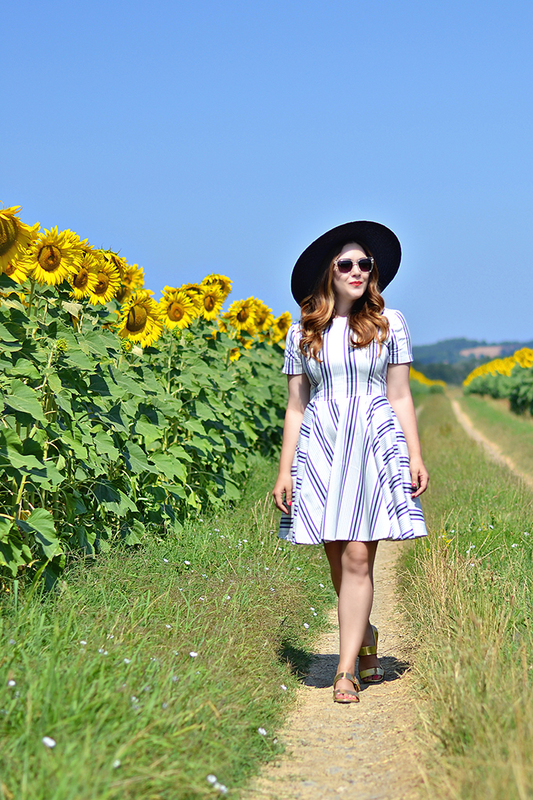 Frolicking through fields of these beauties was probably my favorite part of my road trip through Tuscany. 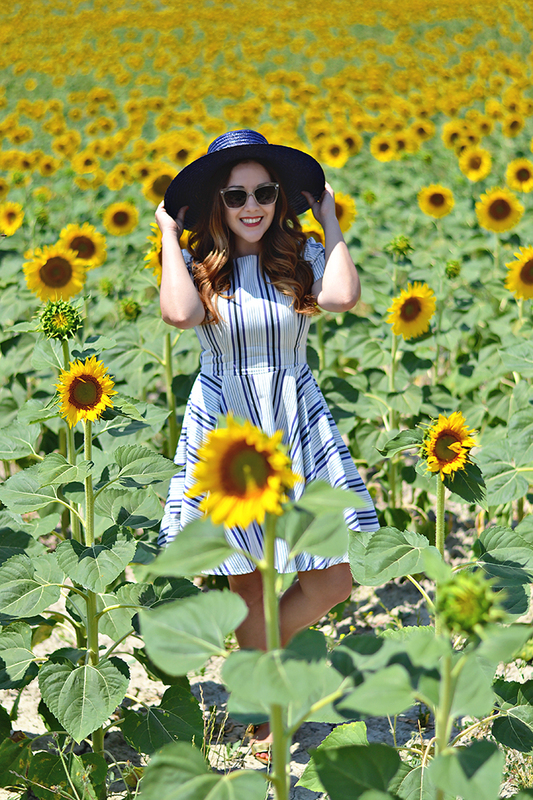 Seriously, it is hard to do anything but laugh and smile (and twirl) when surrounded by sunflowers. 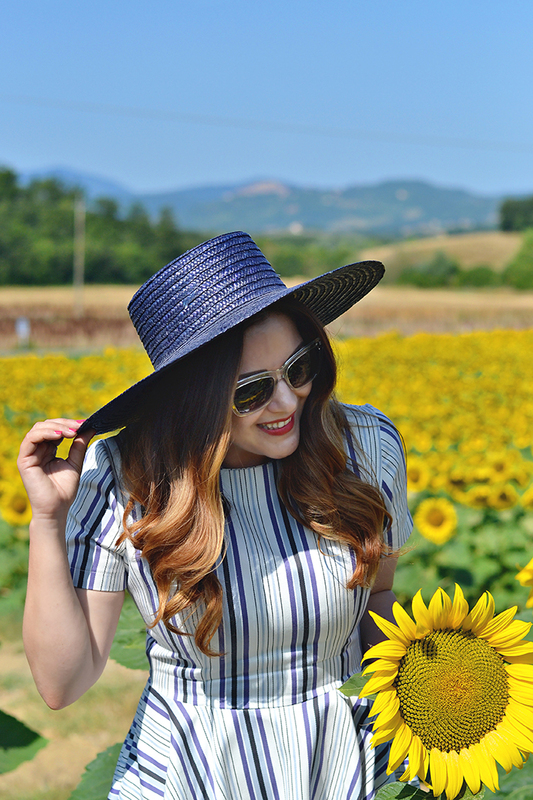 I purchased this great vintage navy straw hat and blue striped dress from a great little boutique in Florence. This summer has been nothing but sunshine and high temps, which means I have become something of a hat lady... and I like it. I couldn't resist this wide-brim navy boater! 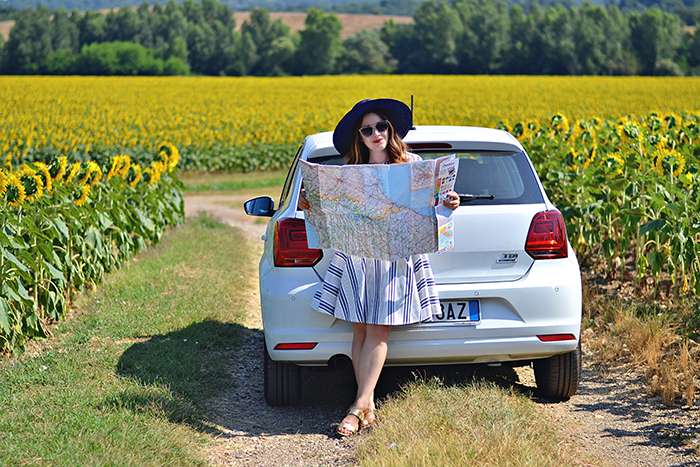 And nothing says summer like a blue and white striped dress. Although these were both purchased locally, I have linked some similar state-side options. 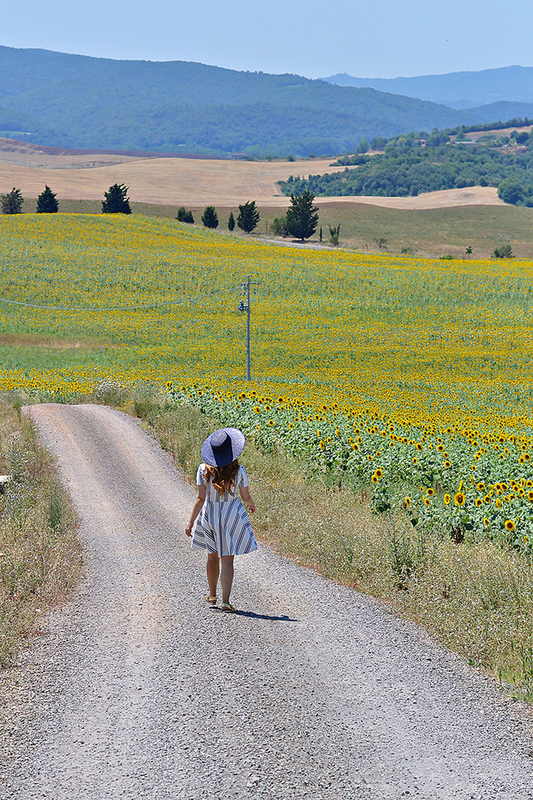 You can read more about my road trip through Tuscany here.